Is Reaktor Space Labs (RSL) the future for Fortune 500 companies? Three years ago, Finland-based Reaktor Innovations wanted to buy a nanosatellite. It ended up building a spin-off company with “Space as a Service” as a product, with RSL putting its first satellite into orbit at the end of November 2018 for a total of $2 million investment for the entire business. 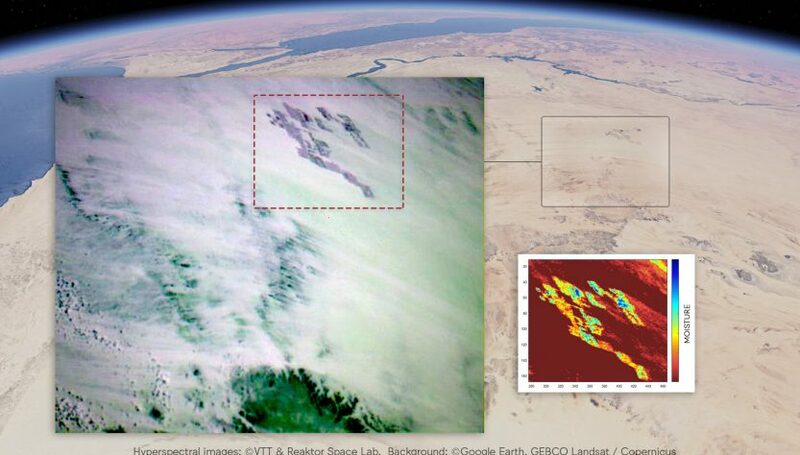 Hello World includes a near-infrared hyperspectral imager with a ground resolution of 200 meters that can be programmed in-flight to select specific wavelengths for capture, reducing the size of imagery sent back to the ground through the satellite’s 2 Mbps S-band radio. The imager effectively “shows” chemical composition on the ground, enabling it to find minerals, water, and recognizing crops, among other applications. RSL built Hello World to have an operational life of 3 years but expects it could keep providing useful data for up to 5 years, ultimately falling back to earth in 9 years. Providing connectivity and real time imagery are two general applications RSL may build out, establishing a hyperspectral imaging constellation and a data network, with cutomers in the agriculture and energy sectors as well as other areas. RSL is working on a 12U communications satellite demonstration capable of providing 10 Mbps broadband as a part of a larger constellation, along with a 3U cubesat contracted by ESA to explore the use of W-band 70/80 GHz spectrum for broadband use. It is also building working on an ESA 3U cubesat project to conduct hyperspectral imaging of asteroids, with launch planned for 2022.